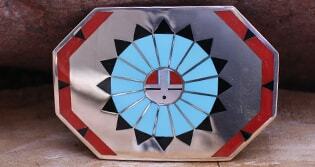 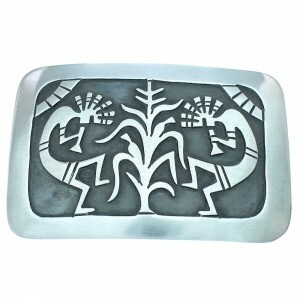 There’s no mistaking our Native American belt buckles. 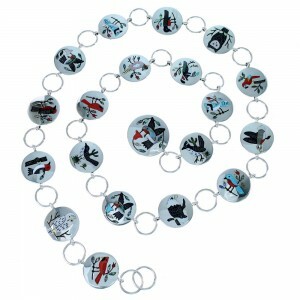 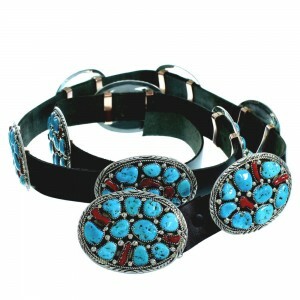 Customers who demand beauty, quality and durability trust NativeAmericanJewelry.com for a great selection and value. 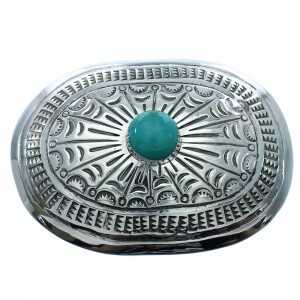 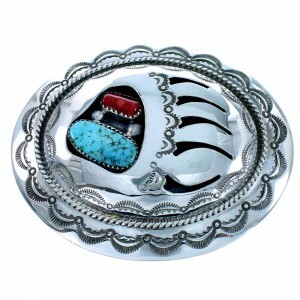 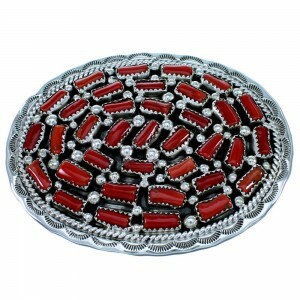 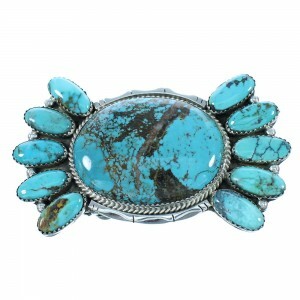 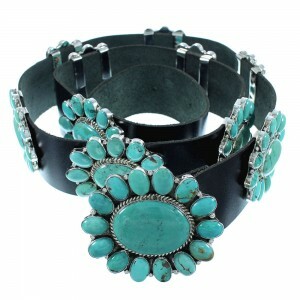 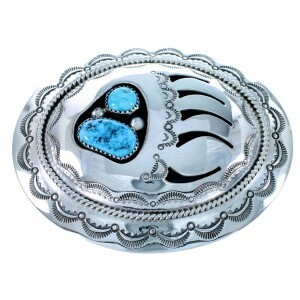 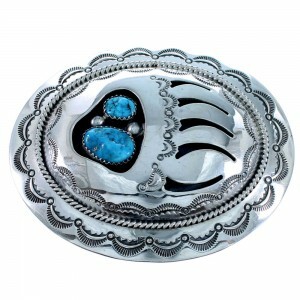 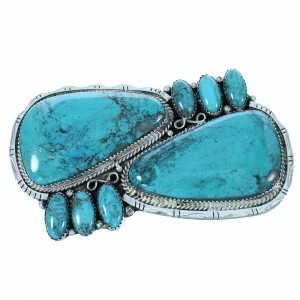 Our collection includes Navajo Native American belt buckles packed with as many turquoise stones as the artist can fit. 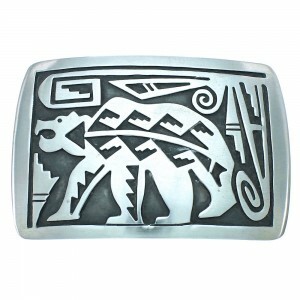 It’s a rugged kind of beauty, much like the Southwestern landscape that has provided stones and inspiration for generations. 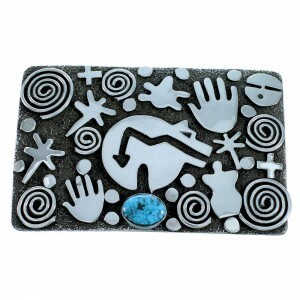 The Navajo tribe is known to incorporate stones that are each different in their own way. 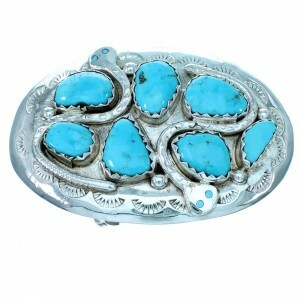 No two pieces of turquoise on one of our Native American belt buckles are the same. 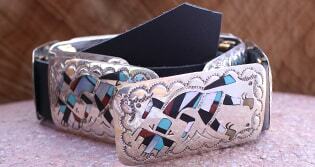 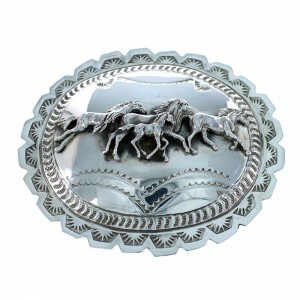 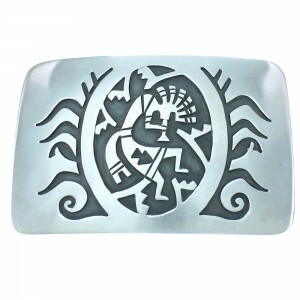 You will find perfection in the intricate silver carvings made famous by Navajo silversmiths. 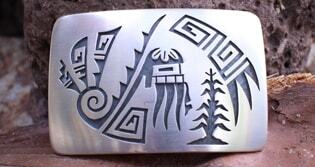 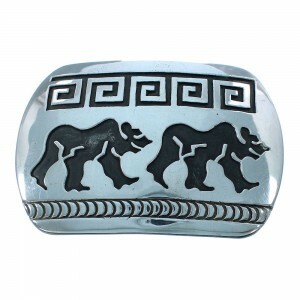 They are considered the masters of working with silver and were the first tribe to perfect the art. 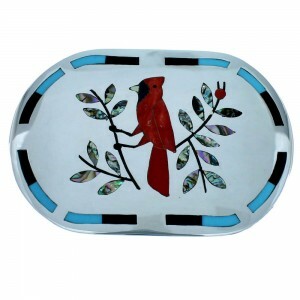 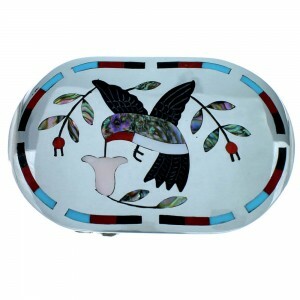 We carry a great selection of Native American jewelry and art from these wonderfully crafted belts buckles to virtually every other design you can think of. 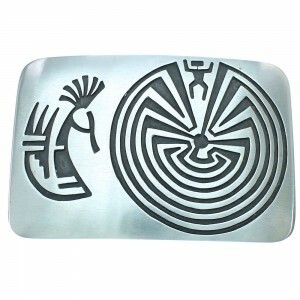 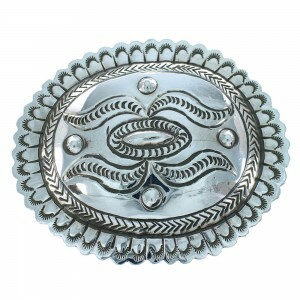 You’re sure to find a great selection on a growing inventory of Native American belt buckles for any style or occasion. 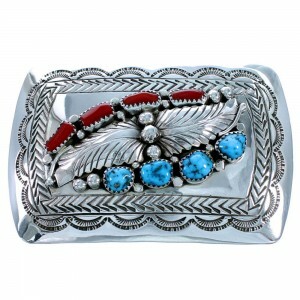 We always offer discounted prices and free shipping to all U.S. addresses.